This week’s celestial events will kick off cosmic fireworks that will rival anything we’ll see on the Fourth of July. 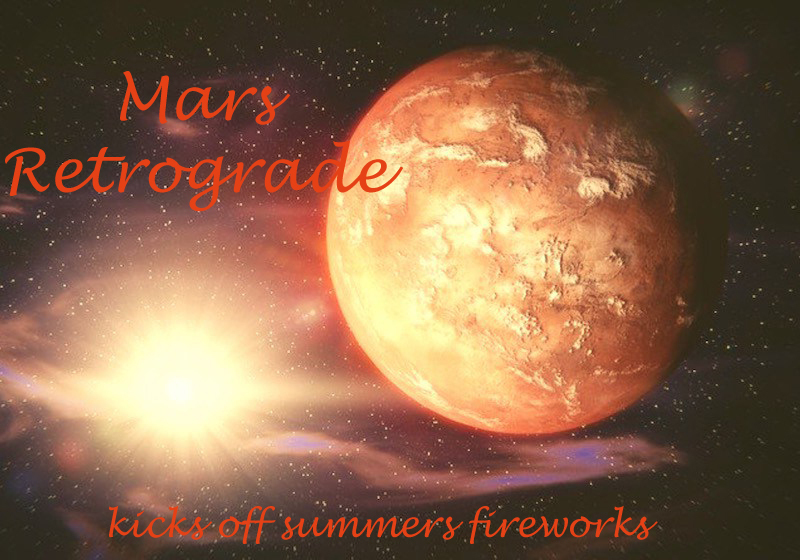 We are already feeling the effects of the Mars retrograde, which arrives full force on June 26. Mars joins several other planets that are already retrograde. Jupiter, Saturn, Neptune and Pluto retrogrades have already started slowing us down and now Mars, the planet of forward motion, will have us moving in fits and starts until we surrender to the slower pace. The July 12 solar eclipse is a good time to look closely at things in your life that may be standing in the way of happiness and success. A fortunate Grand Trine configuration allows you to transform your love life, finances or creative work during this eclipse. Determination and hard work will bring the potential and opportunity of the grand trine to help avert a personal crisis.